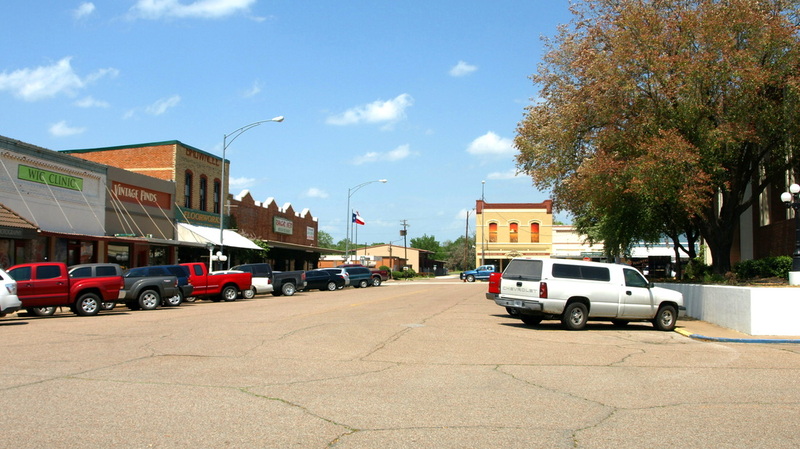 "Madison County includes 473 square miles primarily of post oak savannah, a mixture of post oak woods and grasslands. "The La Bahía Road and the Old San Antonio Road, originally Indian trails, passed through what is now Madison County. "A Spanish settlement was established in Madison County in 1774, on the banks of the Trinity at the crossing of the two Spanish roads. 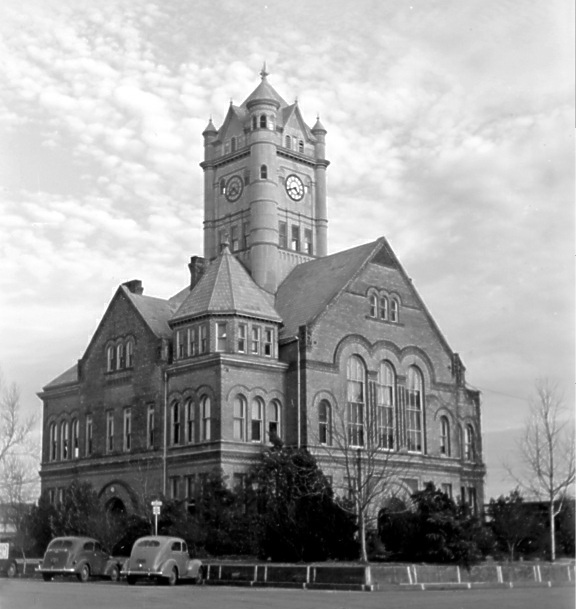 "The judicial Madison County was formed on February 2, 1842, from Montgomery County. (Judicial counties were later declared unconstitutional because they had no legislative representation.) 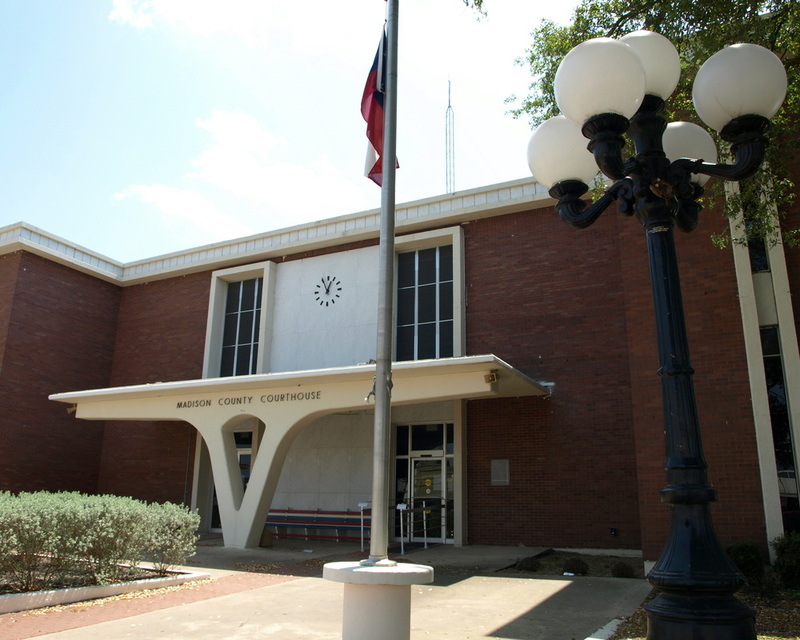 Because residents of the northern parts of Walker and Grimes counties lived forty to fifty miles from their county seats, they petitioned the legislature for the establishment of a new county. 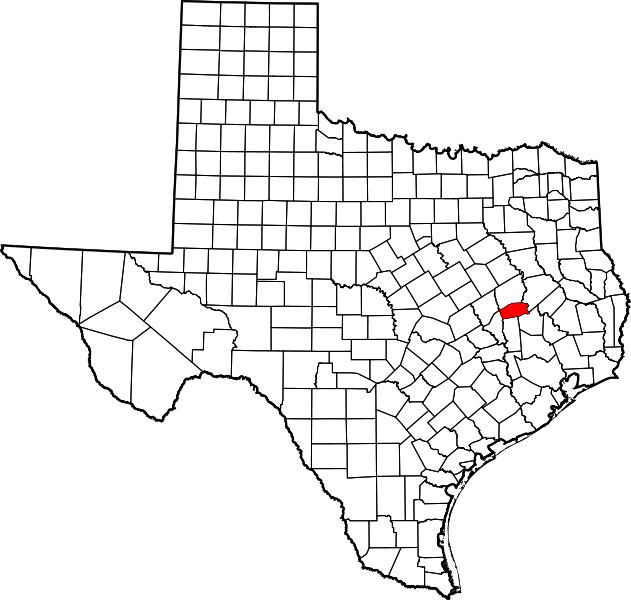 The formation of Madison County from Grimes, Walker, and Leon counties was approved on January 27, 1853, and organization followed on August 7, 1854. "Dr. Pleasant W. Kittrell was the impetus behind the organization of Madison County. He selected the site for the county seat, which was preferred because of its central location; he named the county and its seat for the nation's fourth president, James Madison. "Madisonville, the county seat, was established upon the formation of the county, in compliance with the legislature's ruling that county seats be no more than five miles removed from the centers of the counties." 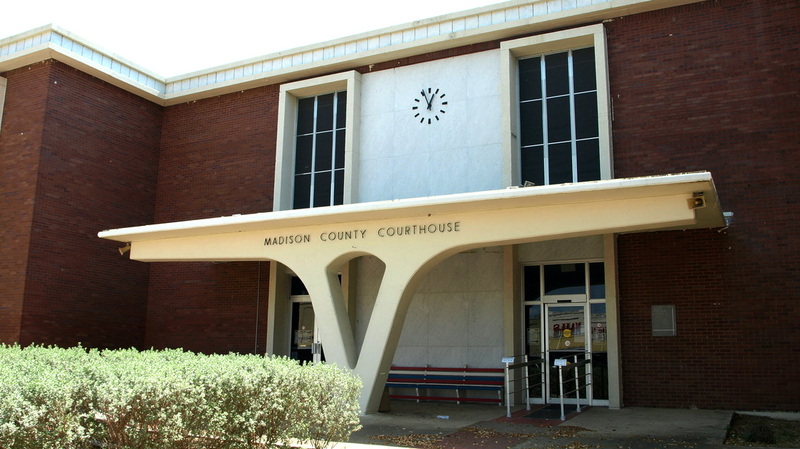 I visited Madison County and photographed the courthouse in Madisonville on April 10, 2011. 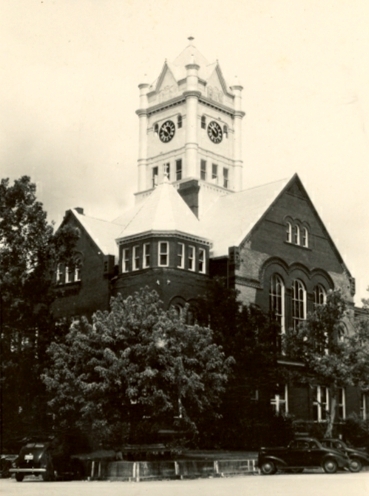 This beautiful Romanesque style courthouse was destroyed in a May 1967 fire. I've not been able to determine who designed this courthouse. I believe it was Arthur O. Watson, based on the details. Dickson, Dickson, Buckley & Bullock were the Architects for this building. The concrete porch with its flared support is memorable. The centrally located column creates a bi-lateral facade with two sets of doors. The clock works. 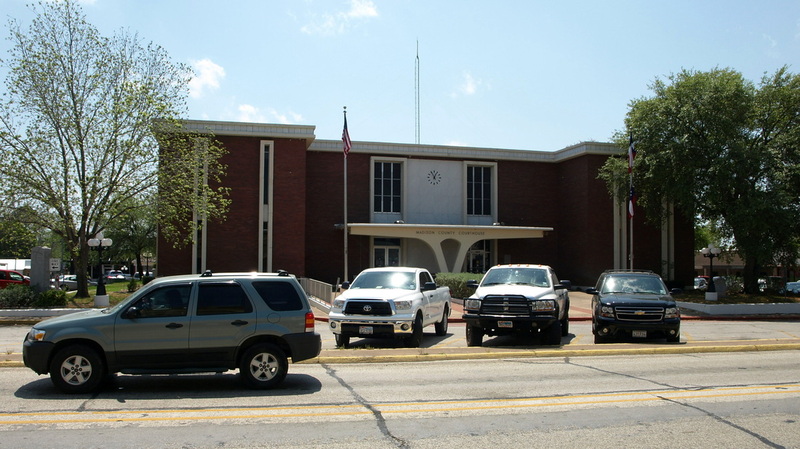 The view from the front of the courthouse, facing north towards Main Street. 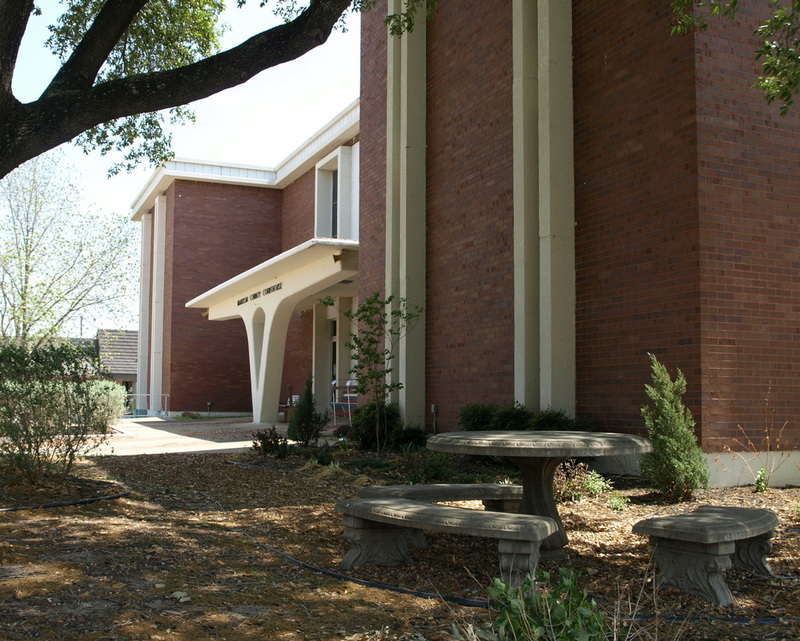 A shady picnic table on the northwest corner of the square, adjacent to the courthouse entrance. 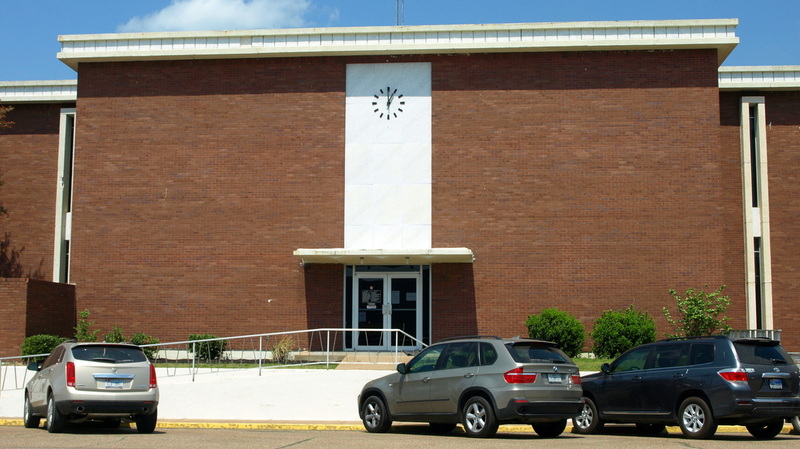 The southwest corner of the courthouse. 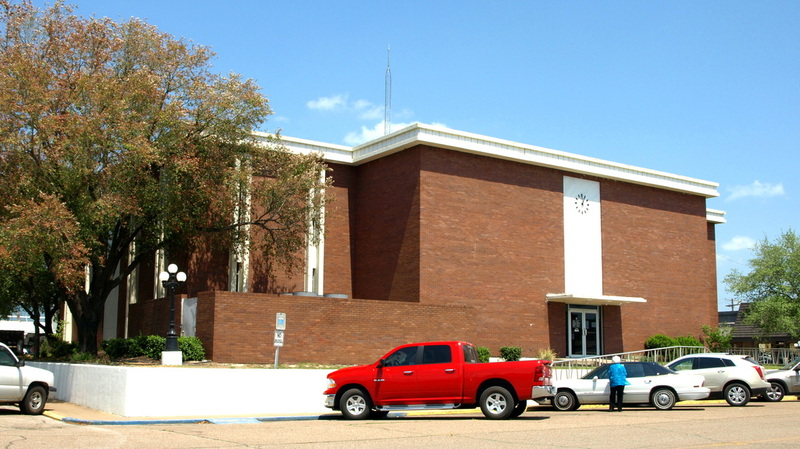 The south facade of the courthouse on E. Trinity Street. 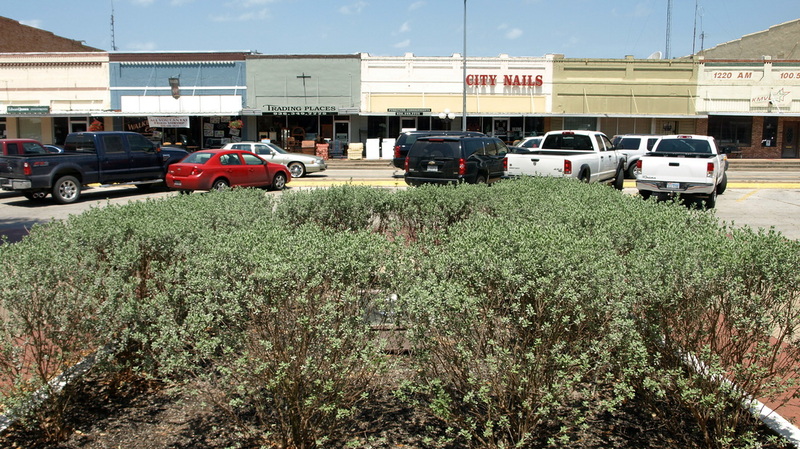 View north on S. Elm Street on the west side of the square. 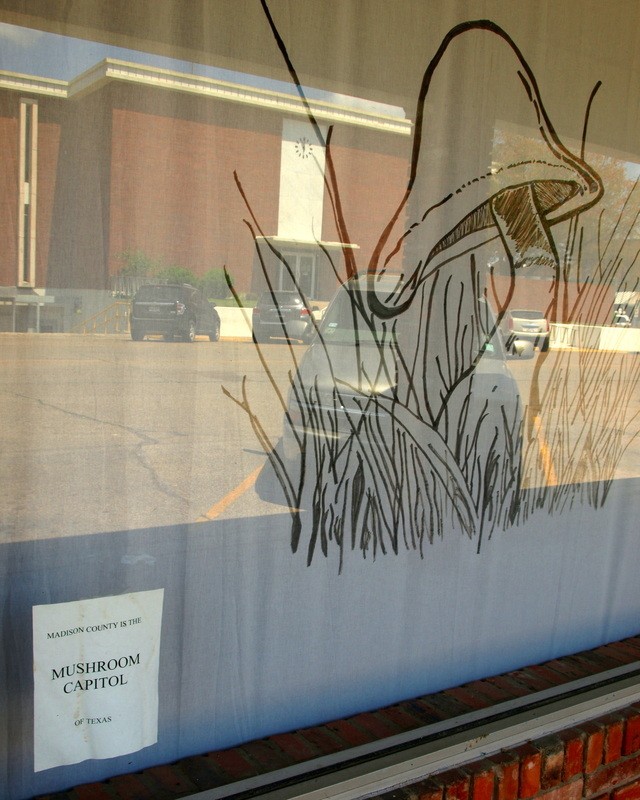 A window on the south side of the square. See the sign in the lower left for an explanation.